"The new Earth is going to be glorious it is going to be wonderful and that's where the majority of us are headed, as long as we understand what is going on." –– Scott Mowry will be making a return appearance on the Ohio Expolitics Radio Show on Thursday, August 5, 2010 at 10 PM EST / 7PM PST. –– New film by Jay Weidner from Sacred Mysteries entitled, " Infinity"
A grand plan appears to be emerging to save the human race and our planet Earth! As the world seems to drift further and further into chaos and despair, racing headlong toward the epochal year of 2012, many are questioning whether humanity will destroy itself before any kind of a long expected Golden Age arrives. The Gulf of Mexico oil spill is just the latest case for a worsening world crisis that seems to be accelerating by the week. Unbelievable revelations are emerging daily on the specifics and ramifications of the Gulf oil spoil that are absolutely shocking, to say the least. Now it is coming to light that those responsible for creating the catastrophe, namely British Petroleum (BP) and possibly others like Haliburton, Goldman-Sachs, the Vatican, etc., have legitimate ties to insider trading weeks before the oil spill even occurred and therefore, easily explains why there seems to be little urgency to rectify the situation. Many scientific and ecological experts are predicting the possibility of an environmental calamity of dire proportions for the Southeastern region of the United States, as the hurricane season draws near. Meanwhile, others are speculating the oil spill was all part of a sinister but desperate plot by the global elite to hold the world hostage unless they are allowed to maintain their positions of power, even as the noose around their collective necks tightens to a death grip. As the veil of darkness long held over humanity is slowing but steadily lifting, many are becoming horrified as they learn the truth of who has been pulling the strings from behind the curtain. The purpose for all of this negativity is to clearly demonstrate to the people of the world that our governments, corporations, financial institutions and powers that be never did, and never will, have the people's best interests in mind. This awakened awareness is now becoming blatantly obvious for all of humanity to clearly see. And it will continue to become even more obvious in the coming years. However, beyond the chaos, beyond the deceit and beyond the terror awaits an enormous, almost magical hope, as many are beginning to become aware of an incredible silver lining amongst the dark clouds. And what a glorious vision it is! In fact, many are bearing witness to a major surprise of epic proportions that is being prepared for humanity to lift us out of the throes of utter doom and despair. As information begins to trickle in from a variety of sources, there is a widening belief, as unfathomable as it may seem, that an entirely new Earth, residing in a higher dimension will eventually emerge for those who are ready to make the transition. It is speculated that our Earth will actually split into two, much like a cell dividing with this whole new Earth being prepared for humanity right now, even as you read these very words. 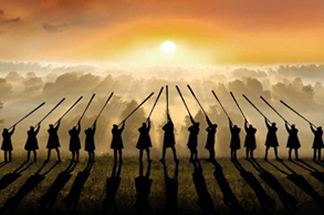 This new Earth will be the long rumored Heaven on Earth, where nearly all of the negativity, violence, war and strife will disappear simply due to the fact that it can no longer exist in a higher vibrational frequency. Therefore, in order to live upon this new Earth it will become necessary to embrace a whole new higher consciousness. 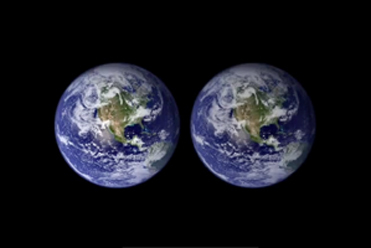 The notion of a new Earth is certainly not a new concept. Even the Bible and the Book of Genesis have mentioned that a new Heaven and a new Earth will emerge some day. Revelations 21:1 states: "Then I saw a new heaven and a new earth, for the first heaven and the first earth had passed away, and there was no longer any sea." 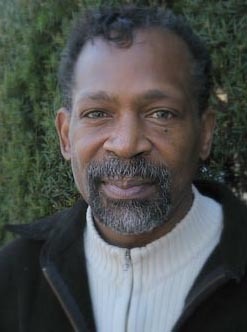 Recently, the idea was made popular by author and spiritualist, Eckhart Tolle, in his 2005 book entitled, "A New Earth: Awakening to Your Life's Purpose," which proposed the idea that humans are on the verge of creating a new world by a personal transformation that shifts our attention away from our ever-expanding egos. Eckhart Tolle's book became a runaway best-seller and was lauded by the likes of Oprah Winfrey and other influential pop culture icons. 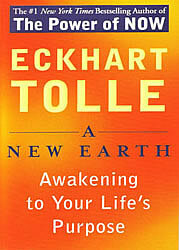 It has sold an astounding 6 million copies to date and Eckhart Tolle's popularity is at an all time high. 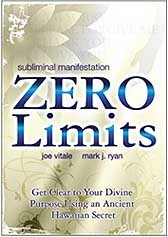 However, years before Eckhart Tolle's version, there was the remarkable work of hypnotherapist, past life regressionist and author, Dolores Cannon, who was writing about this very scenario as far back as 2001 and before in her books "The Custodians: Beyond Abduction" and her trilogy entitled, "The Convoluted Universe – Books 1, 2 & 3". Dolores Cannon has been able to tap into a source of knowledge that is truly remarkable and she has managed to provide the world with some of the greatest and most inspiring hope of anyone to be found. A hypnotherapist for over 40 years, Mrs. Cannon (pictured below) has taken thousands of people into their past lives through a deep hypnotic state known as the somnambulistic level. 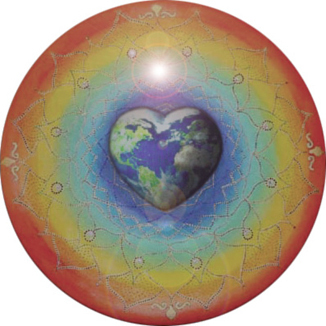 About 20 years ago she began to notice a pattern amongst her clients when they taken into their most recent past life experience and she discovered that many had responded to a call to be a part of an incredible rescue mission for the Earth and humanity. Through her regressed clients, Dolores Cannon has been able to speak to a group of highly evolved beings known as "the Custodians," who say they were the ones who created our Earth and the human race. The Custodians have explained that they are essentially the parents of all people upon the Earth. Like any parents, they became very concerned due to an accelerated state of danger on our planet when nuclear weapons were introduced during World War II. It was determined that humanity was headed down a very dangerous path and some drastic measures were needed. However, the Custodians, nor anyone else for that matter, could not directly intervene in the Earth's affairs since there is a strict policy of noninterference by extra-terrestrial races. So, an extremely ambitious and very unique plan was devised. And as this plan is set to unfold, it is going to be through an absolutely miraculous process. In fact, so miraculous that a plan of this magnitude has never been attempted in the history of the universe before –– until now. The Custodians have confirmed that the grand plan to save humanity involves the process of creating two distinct Earths –– one that will remain in a 3-D, lower consciousness reality as it is now, and a second Earth, that will reside in a 5-D, higher consciousness reality. Our present day Earth, which will become the old Earth, will continue on its dire and destructive path and those who are aligned with its lower consciousness traits such as greed, enslavement, religious dogma, violence and/or negativity, etc., will simply remain behind. The new Earth, on the other hand, is intended to be the home of most of the rest of the human race, who will surely welcome the opportunity to live in a much higher, more peaceful, caring, loving and co-operative environment. "The new Earth is going to be glorious, it is going to be wonderful and that's where the majority of us are headed as long as we understand what is going on," Dolores Cannon has learned. But here is where the story really gets most interesting. In order to pull off such an ambitious plan, and still adhere to the code of noninterference, it was decided that the rescue mission would have to be performed from within the planet –– not from the outside. Thus, an emergency call went out for any souls who would volunteer to incarnate into a human body in order to help assist with the Earth's transformation. Since the 1950's, tens of millions of souls have been arriving on Earth, all in preparation for a massive shift into the 5th dimension. These souls have been arriving in three separate waves, all with very distinct missions and purposes. The Custodians now feel very positive that enough souls have arrived to reach a critical mass that makes the separation of the Earth practically a sure thing. It was with deep gratitude that we recognize the number of these souls that have found their way to Dolores Cannon's hypnotherapy practice. They have allowed her to brilliantly piece together the history and future of the human race in a most inspiring fashion. 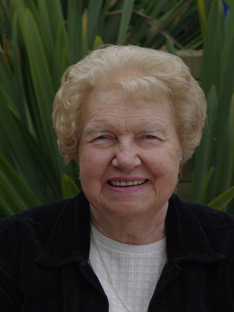 If you delve into Dolores Cannon's many books and videos, you will most likely will agree. Naturally, all of this kind of news about a new Earth emerging may be upsetting to some, as they may become gravely concerned about family members, friends or even pets, whom they think may not be ready to make this kind of transition. As we have often been reminded, we are free will beings and as such, no one can make crucial life decisions for others. Everyone has their own life path to follow. However, it is understood that every last soul on Earth will be given every opportunity to make the move to the new Earth up into the 11the hour. In summation, it is vitally important in these times of epic changes and transformations, that we stay out of fear and hopelessness. Change is clearly the best scenario for humanity and the most glorious changes are upon us that we could have ever possibly imagined. Trust, faith and optimism will guide you along without fail. Realize the amazing insights that people such as Eckhart Tolle, Dolores Cannon, David Wilcock and Anthony Kane are bringing to us and begin to prepare yourself to embrace this new Earth with love and gratitude. It is, without question, the greatest gift we could ever receive. And this gift is nearly ready to be opened. Dolores Cannon's official web site is Ozark Mountain Publishing, Inc. She will be appearing at the ECETI 2010 Science, Spirit and World Transformation Conference over the July 4th weekend. And, she will also be traveling and speaking around the country throughout the remainder of the 2010. Below you will find some of her most recommended books. 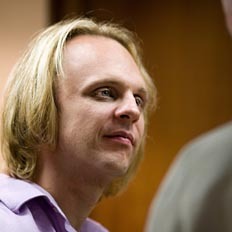 UPDATE: July 17, 2010: David Wilcock's "The End of the Oil Spill"